Jessie moved back to picturesque Montana Beach after a heartbreaking split with her ex. She's since thrown herself into her grandparent's inn, which has been struggling financially thanks to the town having seen better days. With few options available, Jessie considers accepting a developer's offer to buy Montana Manor, seeing it as a way to save her family's legacy, until she learns he wants to tear it down. 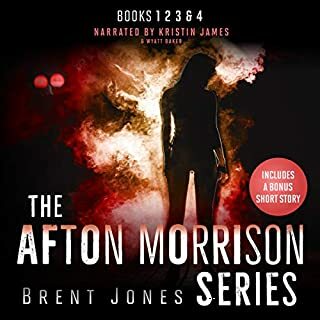 When Mason offers to help Jessie launch a campaign to save Montana Manor, the two quickly find themselves relying more and more on each other. Alister Kingsley is an eccentric, London artist who is famous for his surreal, fanciful paintings set in a land that only exists in his imagination: Wonderland. Alister’s ‘dream girl’ Madeline Hatter wasn’t supposed to be real. 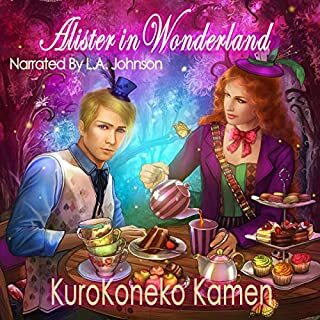 But when the White Rabbit shows up at his art expo, and leads him down the rabbit hole Alister comes face-to-face with the Mad Hatter herself when she rescues him from getting barbequed by the King of Heart’s pet: the Jabberwocky. As it turns out, Madeline got herself into a pickle, and needs Alister’s help. Lera and her cousin have completed their long childhood and their training as healers. Sent to their grandparents back in Madean, they must negotiate the strange, new world and attain their werwinstans. Fate intervenes in the shape of handsome, young Ian, very human and very poisonous to the elven. 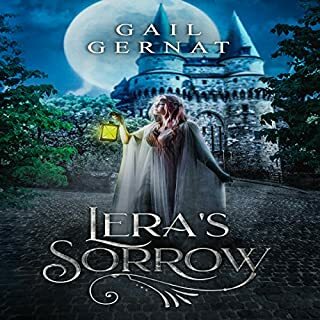 Trying out her independence for the first time in her life, what will Lera decide? Where will she discover her loyalty to lay, with love or with duty? 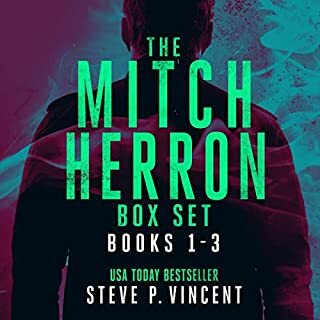 The first three action thrillers in the USA Today best-selling Mitch Herron series: The Omega Strain, The Shadow Enclave, and The Lazarus Protocol. Mitch Herron is a deadly assassin. No stakes are too high for his unique set of skills, until a routine mission goes horribly wrong. When Herron is forced down a deadly path to save millions of innocents, his only chance at redemption pits him against his shadowy employers. Can Herron prevail in a battle of killers? Alistair the Fourth was a mighty general from a long-forgotten war. Four hundred years later, Alster Lightbridge is barely a shadow of his legendary namesake. Crippled and confined to his family's estate, he spends his days dreaming of something larger than himself - something worthy of his name. Encouraged by his tutor to explore the Lightbridge archive, Alster discovers a magical dagger with the power to cleave shadows from their bodies. Blade in hand, Alster finally understands his purpose, though he needs to find a four-centuries-old grave in order to fulfill it. When Robyn was promoted to manager of the Montana Beach Pier amusement park, she helped save it from near extinction. But her employees are still having a hard time adjusting to her new leadership role. With her father gone and only a few friends in Montana Beach, the stress at work carries over to the rest of her life. That is, until her newest employee steps through the door. Jaden’s just looking for a summer job until he can find something more stable in the fall. 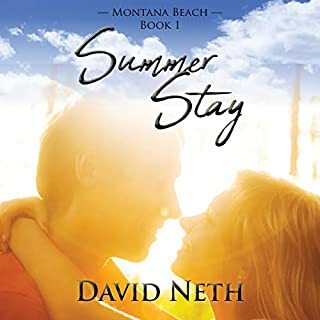 Montana Beach might be a slower pace than his hometown, but his new boss and the romance that sparks between them makes the sleepy little town exciting. When a coworker discovers their relationship, he threatens to reveal their secret, which could put their jobs and the future of the Pier at risk. 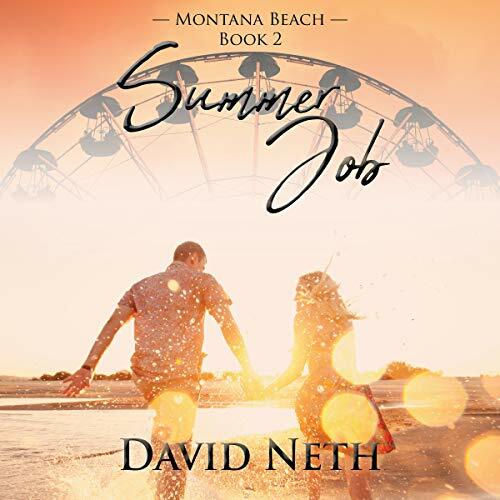 David Neth has a concurrently running story with book 1 of this series, featuring Robin, the manager of Montana Beach's amusement park. She is hiring her summer employees and is attracted to one in particular, Jaden. While fraternizing with the help is frowned upon, these two sneak around for weeks, until a disgruntled employee catches them. Will their love stand the test of public opinion? Will they keep their jobs? Is this just a summer fling? Neth gives a beautiful picture of this town, and has created a warm, community feel as we get to know the characters. 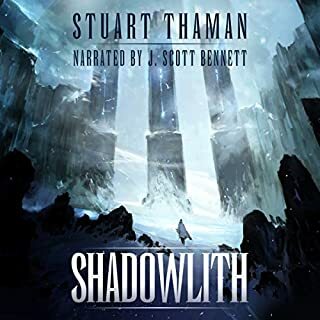 Having some crossover between books makes it much more fun to listen to, and having it during the same time frame makes the story that much more original. I enjoyed this one. Robyn Isaacs narrates this story, and while I enjoyed the pace, I found her voice a little young for the story. She does have good voices for the characters though and gave a good performance. This is the second book in the Montana Beach series. You don't have to listen to the first book to enjoy this one but it would help. I enjoyed the little bit of overlap between books. The characters are fun to learn about. The story is well written. I enjoyed learning more about Montana Beach and it's many faces. The narration was done well, although I felt Robyn Isaacs needed to read the story a few more times before recording. She comes across a little stiff instead of flowing. Her voices are distinct and with a bit more practice I think she'll become an excellent narrator. Overall, an enjoyable listen. After listening to book 1 I was really looking forward to book 2. I was not disappointed. I enjoyed the story of Robyn and Jaden. I also really enjoyed how the author combined book 1 into book 2 from Robyn's viewpoint. It fit really well. I listened to the audio book version of this book, as well, and Robyn Isaacs does a good job. I had a difficult time keeping some of the characters apart from time to time, especially when there was some excitement in the story, but nothing too noticeable, too often. I recommend this series, for sure. This is the second book in the Montana Beach Series, a small town story. This was a cute short story. I liked Robyn and Jaden's story and I loved their happy ending. I received this free review copy audiobook at my request and I have voluntarily left this review. summer romances have always been beautiful... but sometimes they can be tricky as well. This is especially true if that romance includes your boss or employee! Trying to keep it secret can cause a lot of issues from hiding under a table to having to bargain for secrecy when you are caught! But maybe that old saying might just be what's needed... after all the truth wil set you free right? I loved every bit of this story. It kept me listening until the very end and made me wish the story could just keep going! The combination of David Neth's writing and Robyn Isaacs' narration truly brought this stoey to life for me! It is always difficult to date a co-worker. It is even harder to keep it a secret. Robyn struggles with her feelings for Jaden and with her job. The owners frown upon relationships with co-workers but can you stop love? Summer Job follows Robyn, a stern by effective manager at the pier and her budding romance with Jaden. Can they keep it a secret? Can they put a relationship above the rules of the job? You will have to read the story to find out. This was such a fun and quick read. Robyn Isaacs narrates Robyn perfectly. Ms Isaacs brings out her very stern qualities as a manager and the insecurities that Robyn has as well. Ms Isaacs has an easy to listen to voice. Each character has their own tone which makes the story easy to follow. I enjoyed the narration of this book. it was good, a fun love story, it's a little short, I enjoy longer books but this has everything in it. I received this audiobook free for an honest review. As in Book 1, this was also a cute, wholesome story. The summer romance at the amusement park between Robyn and Jaden is entertaining. Young love with two young people is cute. The author did a great job with the story. The narrator did a good job with the characters. However, it appears she is new at narrating. She sounds like she is reading, not acting. The story flows pretty well, it's a short, fast, light read. Robyn is the manager of an amusement park and she hires Jaden for the summer. They spend the whole summer sneaking around to spend time together until a malicious coworker discovers their relationship and threatens to expose them unless they comply. If you listened to Summer Stay, we will witness a familiar scene from Jessie and Mason's story from an outsider's point of view. Thus, Summer Stay and Summer Job seem to be written such that they occur simultaneously. Which is a pretty neat idea, to me; I haven't ever really had an author write a two books in a manner quite like that. This story was good, however, I think if there had been a just tad more substance to Jaden and Robyn's relationship it would have taken it from good to great. Also, the narrator does a good job, but if you listen to her too fast in this book, then her Max voice is distracting and maybe a tad inconsistent sounding. Her Peggy voice, when sped up, is a little distracting as well but inconseqntial in the overall story. I received a free copy at my request and have voluntarily left this unbiased review.